An American foundation run by fervent anti-Islam campaigner David Horowitz has donated at least €150,000 to Geert Wilders’ PVV party in three years, the NRC said on Wednesday. The David Horowitz Freedom Center donated €108,244.24 to the PVV in 2015, according to PVV party records which have to be handed over to the home affairs ministry every year. That was the biggest single donation by a private individual to a Dutch political party, the NRC said. In 2014, Horowitz donated €18,000 to the PVV, the official records show. However, the origin, total amount and what the money was spent on remains unclear, the NRC said. The foundation itself says its donated $75,000 in 2014 and the same amount last year. Taking the exchange rate into account, the total in 2014 and 2015 was around €126,000. Horowitz cannot explain why the PVV has declared different amounts of money to his foundation’s records. The PVV’s accountant, the PVV and Wilders himself have refused to comment, the paper said. This year, the donation was smaller – $25,000, the NRC said. Political parties have been required to register all donations of over €1,000 since 2013. Donations of over €4,500 have to be made public. The NRC says Wilders does not appear to have any other foreign funding. Daniel Pipes, director of the neo-conservative think tank Middle East Forum has donated to Wilders in the past but told the NRC last year he was withdrawing his backing following Wilders’ ‘fewer Moroccans’ chant and court case. The PVV does not quality for official funding for political parties in the Netherlands because it has no membership structure. 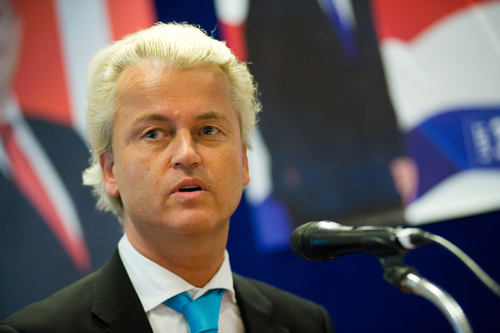 Wilders is the only official PVV member.